Archive files are great for portability and saving space, but a lot of people don't know they can also be encrypted. There are a lot of archiver programs out there, but most of them can open a file that's been encrypted using other software, as long as you're using a recent version. Here's how to do it in both Mac OS X and Windows. Now, just come up with a strong password and you're all set. The other option in OS X is to create a disk image. To do this, open the Automator program and select Service. 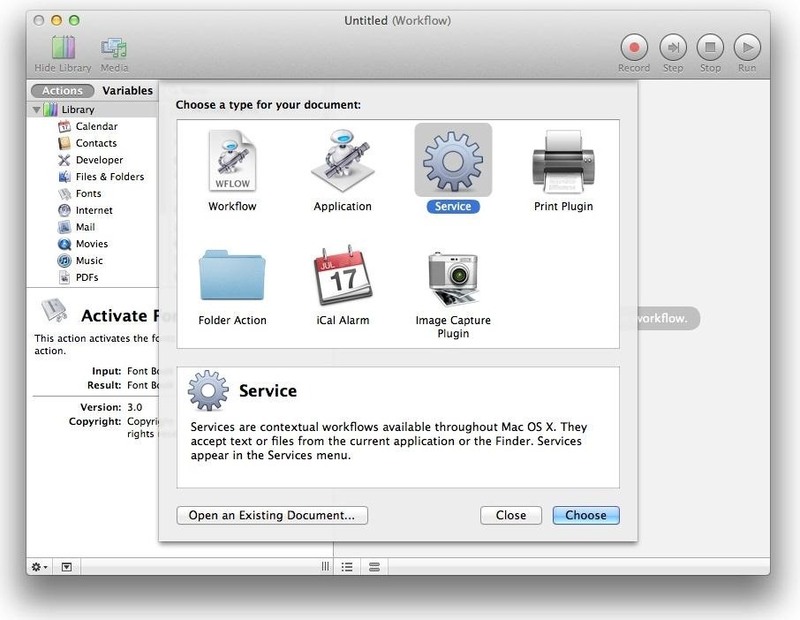 Choose files or folders from the first drop-down menu, then select Finder as the program. Drag the New Disk Image into the workflow area, then select Size disk image to fit contents and check the box next to it marked Encrypt. Set the name and location where you want the file to be saved and change the last option to Reveal Finder Items. Now, just save the workflow and it should become available in the Service menu. 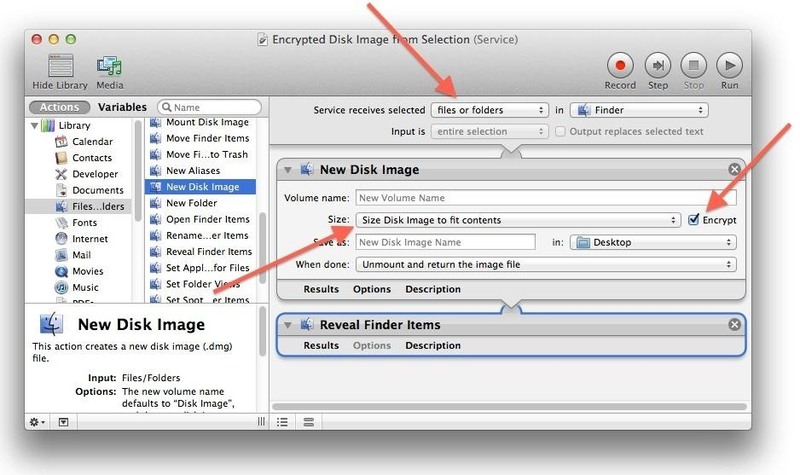 To use it to encrypt files, select the files and right-click, then choose your new disk image from the Services menu. Once you supply a password, it will encrypt them. In Windows, the easiest way to encrypt an archive is to do it directly from a program like WinZip. All you have to do is select the files, open the Actions menu, and choose Encrypt. Then just choose what type of encryption you want and enter a good password. You can also do this while you're creating the archive by checking the Encrypt added files box. Don't use WinZip? 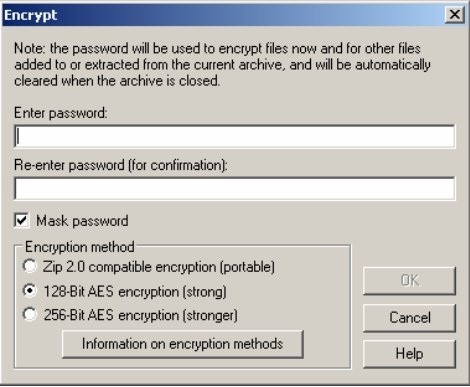 Here's a guide to encrypting files in 7Zip. Once you've created the archive, you should be able to open it in a recent version of any archiver software. How To: Open Zip Files in a Click?